Who's that flying over the treetops? Whoosh! It's the witch and her cat and a very tall hat. Fly through the sky with the witch and her friends and bring the story to life with a specially-designed 'whoosh' sound. Whoosh! 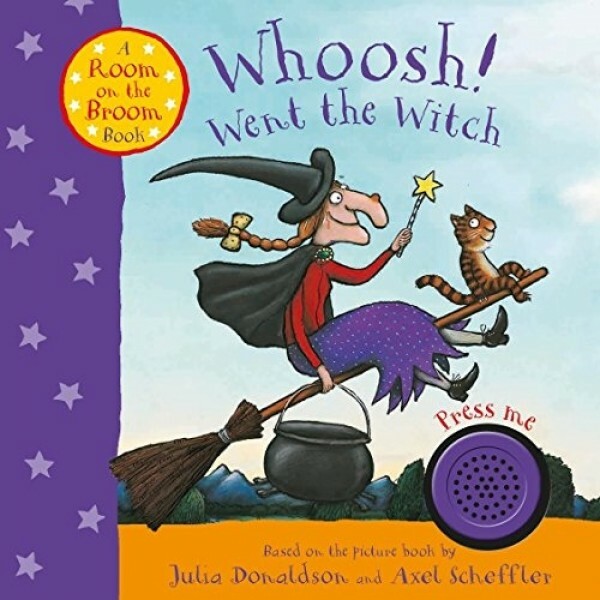 Went the Witch is a fun and interactive introduction to one of the UK's favourite story books, Room on the Broom, from the superb partnership of Julia Donaldson and Axel Scheffler. Fans of this likeable witch can also check out this plush witch that looks just like their favorite character!